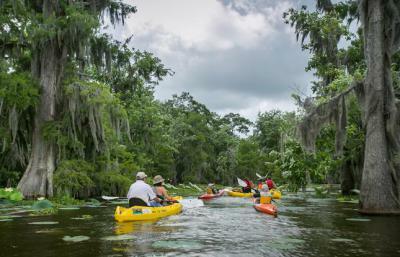 Louisiana US State Louisiana is a southeastern U.S. state on the Gulf of Mexico. Its history as a melting pot of French, African and American cultures is reflected in its spicy cuisine, French dialect and bluesy zydeco. 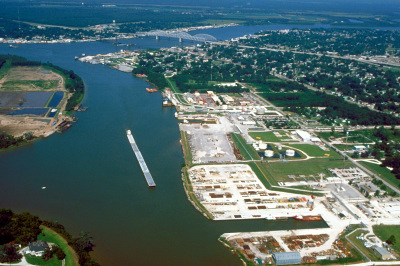 Louisiana sits above the Gulf of Mexico at the mouth of the Mississippi River, bordered by Arkansas to the north, Mississippi to the east and Texas to the west. Originally colonized by the French during the 18th century, it became U.S. territory as part of the historic Louisiana Purchase in 1803, and was admitted to the union in 1812. April 30, 1812 Did You Know? Some natives of Lousiana consider themselves Cajun or Creole. Cajun refers to a cross-cultural mix of several ethnic groups, including French Creole, Spanish, German and Anglo-American. The word Creole comes from the Spanish word "Criollo," which means "one from the colony." Capital: Baton Rouge Population: 4,533,372 (2010) Size: 51,988 square miles Nickname(s): Pelican State; Sportsman’s Paradise Motto: Union, Justice, Confidence Tree: Bald Cypress Flower: Magnolia Bird: Eastern Brown Pelican INTERESTING FACTS In 1803, Thomas Jefferson doubled the size of the United States by purchasing the Louisiana Territory—828,000 square miles of land between the Mississippi River and the Rocky Mountains—from France. 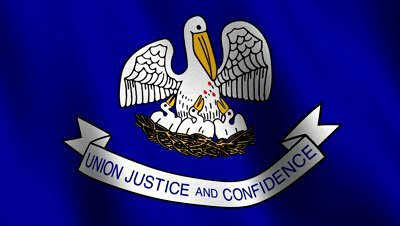 Louisiana was the first of 13 states, or parts of states, to be carved out of the territory in 1812. Due to slow communications, the Battle of New Orleans was fought two weeks after the Treaty of Ghent was signed on December 24, 1814, ending the War of 1812 between the United States and Great Britain. General Andrew Jackson, who led between 6,000 and 7,000 troops to victory, emerged from the battle a national hero. 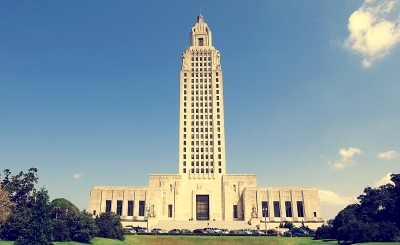 At 34 stories high and 450 feet tall, the Louisiana State Capitol is the tallest of all state capitol buildings. On September 8, 1935, Senator Huey Long—who had been instrumental in convincing the public to construct the new building in 1935—was assassinated in one of its corridors. Louisiana is home to a wide diversity of cultures. 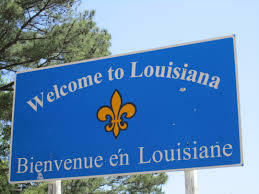 Two prominent ethnic groups are Cajuns, descendants of a French-speaking group of Acadians from Canada, and Creoles, people with a mixed French, Spanish, Caribbean, African and Indian background. Hurricane Katrina hit landfall in southeastern Louisiana on August 29, 2005, as a Category 3 storm. The most destructive natural disaster in U.S. history, it resulted in more than 1,800 deaths—over 1,500 of which were in Louisiana—and close to $100 billion in damages.